Horizontal directional drilling is the preferred method in utility pipe installation because it is significantly advantageous over the open-pit method. First, directional drilling is faster and more efficient. With the use of specialised rigs, the pilot hole created at the starting point becomes the main entryway for the pipes without requiring additional digging. This process does not disrupt the surrounding environment and can be used to avoid obstacles like rivers, streams, and bridges. Although directional drilling is a superior process over its predecessors, there are still challenges that project managers need to plan for and be able to overcome. A vital aspect of planning for a directional drilling project is identifying soil type and density: different soil characteristics and composition impact how feasible it is to conduct directional drilling on the site. One example is the presence of gravel. Depending on the content, the project manager may need to adjust methods or directional drilling may not be possible at all. One of the ways to mitigate the challenges of gravel-rich soil is to identify how far from the surface gravel content is concentrated. More often than not, gravel is located within a significant distance from the surface. Making the drilling shallower will help avoid the problem. 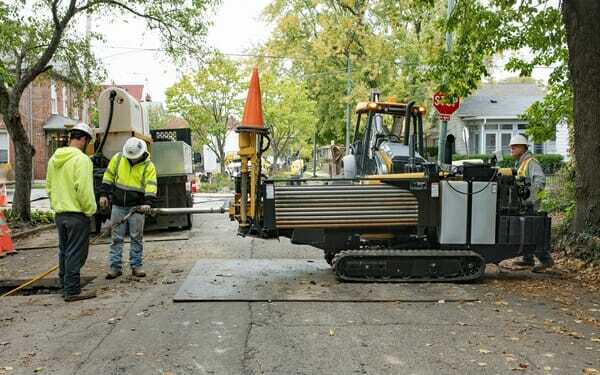 But in cases where the entire subsurface of the soil contains gravel, horizontal directional drilling is not the best method for installing pipes. Forces that affect equipment and pipes during installation need proper calculation. This is to ensure safety during project execution. To illustrate, a pipe has a given thickness, diameter, and material strength which means the pipeline can only bend up to a certain point before it breaks. Project engineers need to take all of these factors into account when planning the installation path and design drilling curves that will not cause stress or damage to the pipes. When a directional drilling project is already underway, it is costly to make any changes in relation to unexpected events such as finding out that the soil condition poses further difficulties in execution. Planning helps reduce the occurrence of these surprises by providing detailed information before project engineers bid for the project. A moderate level of field observation may be sufficient for some, but by increasing field observation while construction is ongoing, you can ensure that the project contractor follows specifications; thus, enhancing the success of the pipeline installation. Observation also helps with gathering the necessary information to come up with a detailed report before, during, and after project completion. Any expert in horizontal direction drilling can, through careful and thorough observation, easily identify concerns and make appropriate recommendations to mitigate the occurrence of challenges and increase the chances of a more successful outcome. Through detailed reports completed daily, the project owner has confidence knowing that the project is underway without any problems or with sufficient preparation to overcome potential issues.